The ultra compact, ultra portable Apple MMGG2 MacBook Air Laptop makes an ideal companion, whether you are working or playing. The cutting edge computer’s advanced internal components, which include 1.6GHz Dual Core Intel Core i5 processor, 8GB LPDDR3 RAM, Intel HD Graphics 6000 GPU, super slim 54Wh lithium polymer battery, and more, enhance your overall productivity and entertainment experience by leaps and bounds. An improved 13.3inch LED backlit IPS panel display fitted on the computer churns out eye popping 1440 x 900p resolution images. The computer’s 802.11ac specification WiFi provides you with wireless Internet connectivity in the vicinity of available hotspots. Built in PCIe based 256GB flash storage ensures you have ample space to save all your data securely. The laptop’s overall measurements of 12.8 x 8.94 x 0.11-0.68 inch and a total weight of 1.35kg make it extremely portable. A sleek silver color perfectly complements the computer’s streamlined design. The laptop also comes with a revolutionary LED backlit keyboard. 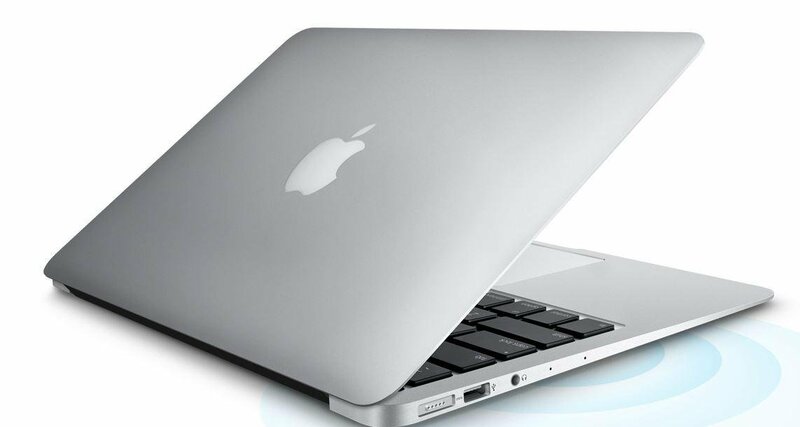 The Apple MMGG2 MacBook Air Laptop is one of the sleekest laptops yet. This gorgeous device is crafted using innovative techniques and smart engineering that Apple is renowned for. For instance, the system incorporates an ultra slim 13.3inch LED backlit screen that displays images with a spectacular resolution of 1440 x 900p. Its powerful stereo speakers are cleverly hidden beneath the keyboard. The laptop incorporates cutting edge internal components like 1.6GHz Dual Core Intel Core i5 processor, 8GB LPDDR3 RAM, and Intel HD Graphics 6000 GPU, all in a body that measures just 32.5 x 22.7 x 0.3/1.7cm. Part of what makes MacBook Air so responsive is that it’s designed entirely around flash storage. Not only does this make MacBook Air much lighter and more portable than traditional notebooks, it also provides faster access to data. Available in this capacity of 256GB this PCIe-based flash storage is up to 17 times faster than a traditional 5400-rpm notebook hard drive. So when you flip open MacBook Air, it’s ready to go straightaway. Even after a month in standby mode, the screen springs to life. 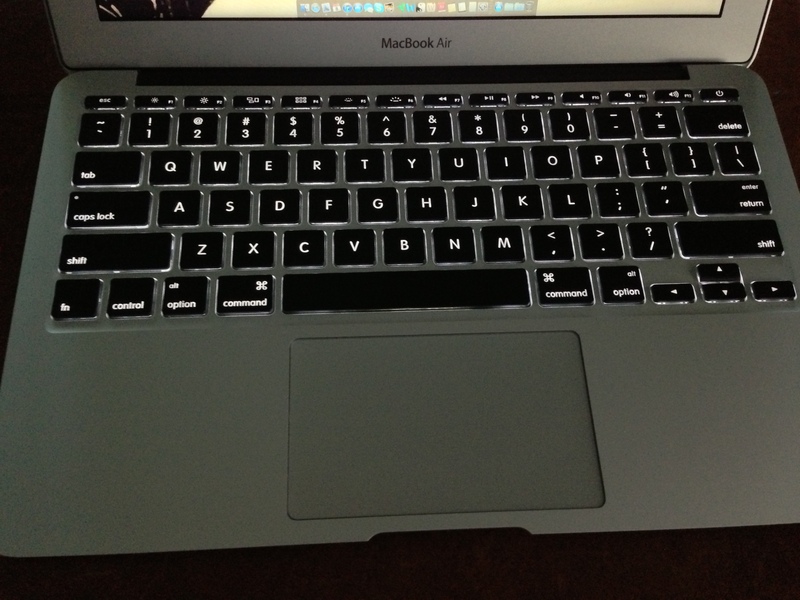 The Apple MMGG2 MacBook Air Laptop’s full sized LED backlit keyboard. The sleek keyboard offers language support in both English and Arabic languages. The computer also features an intuitive multitouch glass trackpad. The highly responsive trackpad makes interacting with this computer feel natural. MacBook Air features a full-sized keyboard that’s just as comfortable to type on as a desktop keyboard. And the keyboard is backlit, so you can type in low-light conditions with ease. A built-in sensor detects changes in the ambient lighting and adjusts the keyboard and display brightness automatically, giving you the perfect illumination in any environment. The Air's keyboard hasn't changed, either, but this is one area where you won't mind continuity for continuity's sake. While it has just 1 mm of travel (we prefer at least 1.5 mm), typing on the Air remains as comfortable as ever. The Apple MMGG2 MacBook Air Laptop comes embedded with just three interfaces that fulfill all your connectivity needs. The ultra streamlined body features two USB 3 ports that help transfer data at speeds of up to 5Gbps. The system also features a Thunderbolt 2 port that enables data transfers at rates of up to 20Gbps. You can transfer data wirelessly to other compatible devices using the computer’s Bluetooth 4.0 function. 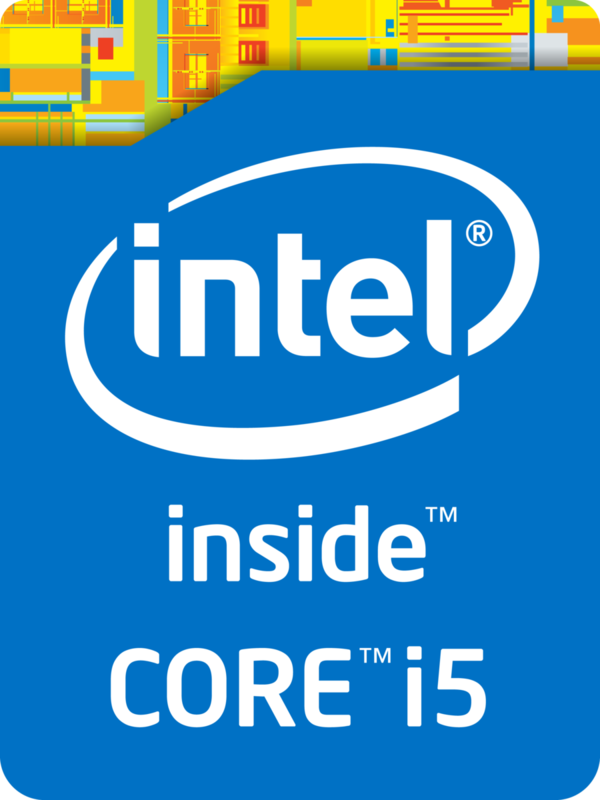 For the Intel Core i5, its maximum allowable processor frequency is 3.6GHz. Since none of the Core i3 CPUs have Turbo Boost, the Core i5 can outperform them whenever it needs to. Because all Core i5 processors are equipped with the latest version of this technology — Turbo Boost 2.0 — all of them can outrun any Core i3. The Intel Turbo Boost Technology allows a processor to dynamically increase its clock speed whenever the need arises. Of course, MacBook Air is unbelievably thin and light. It is also designed it to be powerful, capable, durable and enjoyable to use. With enough battery life to get you through the day. That’s the difference between a notebook that’s simply thin and light and one that’s so much more. Order the MacBook Air MMGG2 today and have it delivered to your doorstep within 1-3 working days or same day delivery within Nairobi. Payment on delivery.